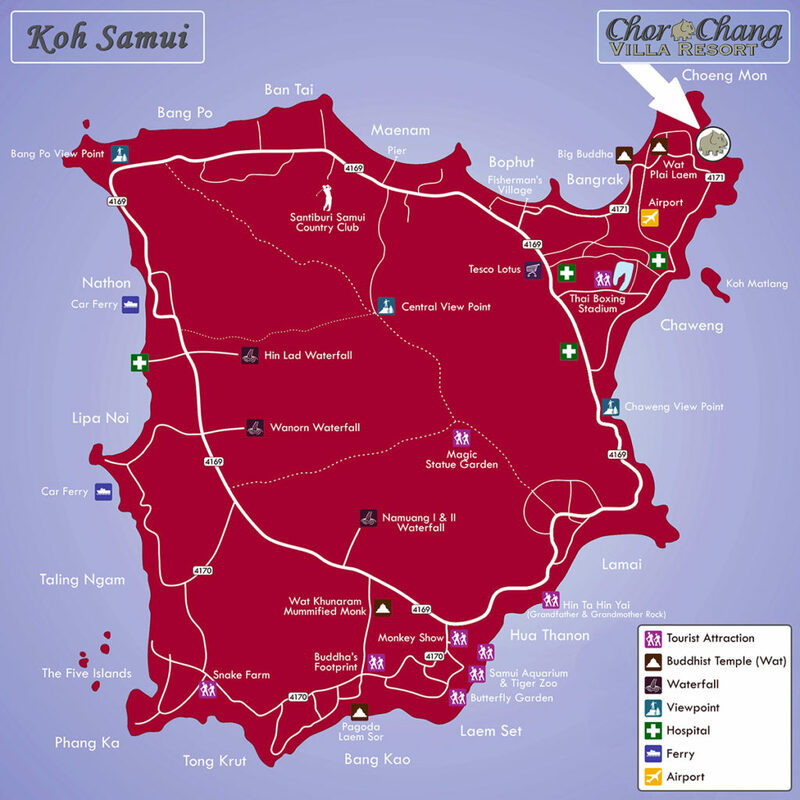 Located in the gulf of Thailand, 700 km south of Bangkok and 50 Km from the east coast, Koh Samui is the largest island among an archipelago of 85 islands. With its 247 km2, Samui is the third largest island in Thailand and is best known for its coconut plantations. Since the opening of Samui International Airport in 1991, Koh Samui has developed into a holiday resort island and remains a popular destination for travelers. However, it has preserved all its charms and cultural traditions and offers a large choice of activities to satisfy the most demanding visitors. Although famous for its long white sand beaches surrounded by clear turquoise blue water, the interior of the island is untouched and is dominated by rain forest and mountains with spectacular viewpoints. Nowadays, tourism, coconut industry and fishing are the main sources of incomes on the island. Sun, beach and sea will rhythm your days ! Relax and discover our little piece of tropical paradise !